Chances are you'll need to install Windows 7 from a USB device if you have a tablet, or small laptop or netbook device, few of which include optical drives as standard hardware. This means that you must get the Windows 7 setup files onto a flash drive (or any USB based storage) and then boot from that flash drive to get the Windows 7 installation process started. However, simply copying the files from your Windows 7 DVD to a flash drive won't work. You have to specially prepare the USB device and then properly copy the Windows 7 install files to it before it'll work as you expect. You're in a similar, but slightly easier to solve, situation if you've purchased a Windows 7 ISO file directly from Microsoft and need that on a flash drive. No matter what situation you're in, just follow the instructions below to install Windows 7 from a USB device. The following tutorial applies equally to whatever edition of Windows 7 you have a disc or ISO image of: Windows 7 Ultimate, Professional, Home Premium, etc. Start with Step 1 below if you have a Windows 7 DVD or Step 2 if you have a Windows 7 ISO image. Create an ISO file from the Windows 7 DVD. If you already know how to create ISO images, fantastic: do it, and then come back here for further instructions on what to do with it. If you've never created an ISO file from a disc before, check out the tutorial linked above. It'll walk you through installing some free software and then using it to create the ISO. An ISO image is a single file that perfectly represents a disc... in this case, your Windows 7 installation DVD. Next we're going to work on properly getting that Windows 7 ISO image you just created onto the flash drive. Download Microsoft's Windows 7 USB/DVD Download Tool. Once downloaded, execute the file and follow the installation wizard. This free program from Microsoft, which works in Windows 10, Windows 8, Windows 7, Windows Vista, or Windows XP, will correctly format the USB drive and then copy the contents of your Windows 7 ISO file to the drive. Pick the en-US.exe download for the English edition of this tool. Start the Windows 7 USB DVD Download Tool program, which is probably located in your Start menu or on your Start screen, as well as on your Desktop. On the Step 1 of 4: Choose ISO file screen, click Browse. Locate and select your Windows 7 ISO file, and then click Open. If you downloaded Windows 7 directly from Microsoft, check for the ISO image wherever you tend to store downloaded files. If you manually created an ISO file from your Windows 7 DVD in Step 1 above then it will be wherever you saved it to. Click Next once you're back on the Step 1 of 4 screen. Click USB device on the Step 2 of 4: Choose media type screen. On the Step 3 of 4: Insert USB device screen, choose the flash drive or external hard drive you want to put the Windows 7 installation files on. If you haven't yet plugged in the flash drive or other device you're using, you can do that now. Just click the blue refresh button to make it show up in the list. Click the Begin copying button. Click Erase USB Device if you're prompted to do so on a Not Enough Free Space window. Then click Yes to the confirmation in the next window. If you don't see this it just means that the flash drive or external hard disk you've selected is already empty. Any data you have on this USB drive will be erased as part of this process. On Step 4 of 4: Creating bootable USB device, wait for the Windows 7 USB DVD Download Tool to format the USB drive and then copy the Windows 7 installation files to it from the ISO image you provided. You'll see a Status of Formatting for several seconds, followed by Copying files. This part might take as long as 30 minutes, maybe even longer, depending on which edition of Windows 7 the ISO file you have is from, as well as on how fast your computer, USB drive, and USB connection is. The percentage complete indicator may sit on one or more percentages for a long time. This does not mean anything is wrong. The next screen you see should say Bootable USB device created successfully, with a Status of Backup completed. You can now close the Windows 7 USB DVD Download Tool program. The USB drive can now be used to install Windows 7. Boot from the USB device to start the Windows 7 setup process. You might need to make changes to the boot order in BIOS if the Windows 7 setup process doesn't start when you try to boot from the USB drive. See How to Change the Boot Order in BIOS if you've never done that. If you still can't get the flash drive to boot, and you also have a UEFI based computer, see the last paragraph at the bottom of this page. If you arrived here from How to Clean Install Windows 7, you can now return to that tutorial and continue installing Windows 7. See How to Install Windows 7 if you weren't doing a clean install or you're not sure what kind of installation to do. You should have now installed Windows 7 by USB. When the Windows 7 USB DVD Download Tool formats the flash drive during the process above, it does so using NTFS, a file system that some UEFI systems won't boot from if on a USB stick. 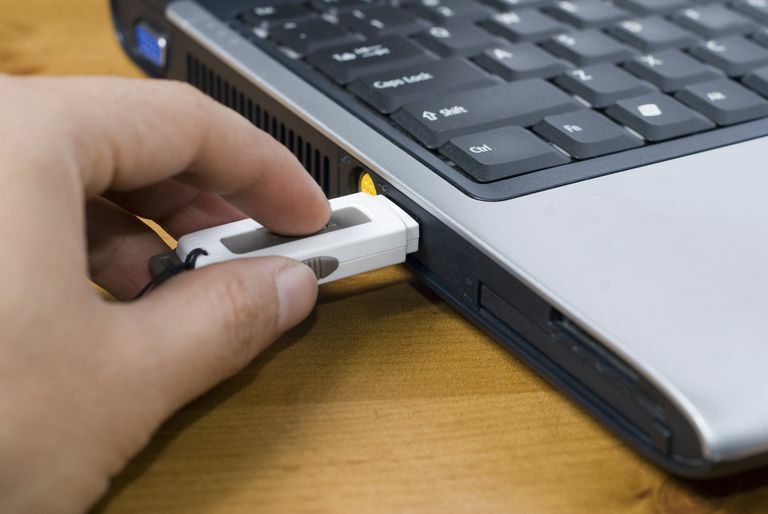 To get the USB drive to boot on these computers, you should copy the data from the flash drive onto a folder on your computer, then reformat the flash drive using the older FAT32 file system, and then copy that same data back onto the drive. See How to Burn an ISO File to USB tutorial for an alternative method for getting a Windows 7 ISO image onto a USB drive. I much prefer the instructions I've outlined above, but if you have trouble getting it to work, the general ISO-to-USB walkthrough should do the trick.